This role has been created to meet the requirements of our major customers in Latin America. In this role, Arturo will work to build an excellent relationship with key clients. This includes maintaining constant communication with customers regarding requirements for eggs and shipments, as well as any other support they may need from Troutlodge. In addition, Arturo will continue with local coordination in the region for all customers. 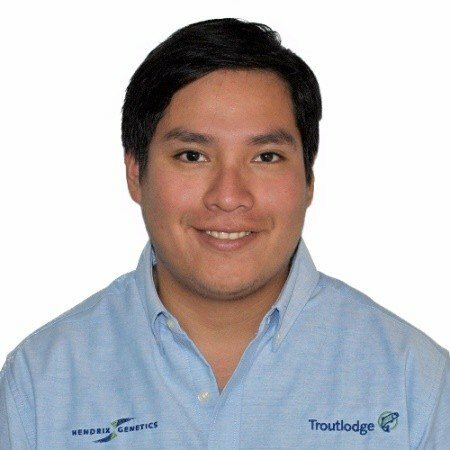 This is a change in focus for Arturo, but he is there (travel and time allowing) as a resource for our clients in Latin America, and to act as a natural conduit for communication back to the R&D and management team of Troutlodge. The aim of the position is to contribute to the effective operation of our clients’ businesses and streamline our business in the region.